Strike Social's recent data report finds baby boomers to have the highest view rate on mobile. When it comes to social media advertising, it’s important to let the data guide you. Decisions based on assumption or speculation lead to mistakes and wasted ad spend. Let’s consider mobile use, for example. When we talk about mobile users across all social platforms, we often focus our attention on younger audiences with their faces buried in their phones. Bu that’s not the only the case when it comes to YouTube. In the latest 2018 YouTube Data Report, we analyzed a full year of data across 22 industries in the U.S. What we expected to see is a high mobile view rate across younger audiences. Our findings, however, revealed a far more interesting result. Download the full 2018 YouTube Data Report to see what else we found. On mobile alone, YouTube reaches more 18-49 year-olds than any other broadcast or cable network. Knowing that information, advertisers are led to believe that these younger audiences are the most inclined to watch their ads on mobile devices. But that’s not exactly what the data tells us. What may surprise advertisers is that baby boomers are much more likely to view ads on mobile than any other age group. View rate for 55-64 year-olds on mobile is 35.1%, compared to 33.7% view rate for 18-24 year-olds. 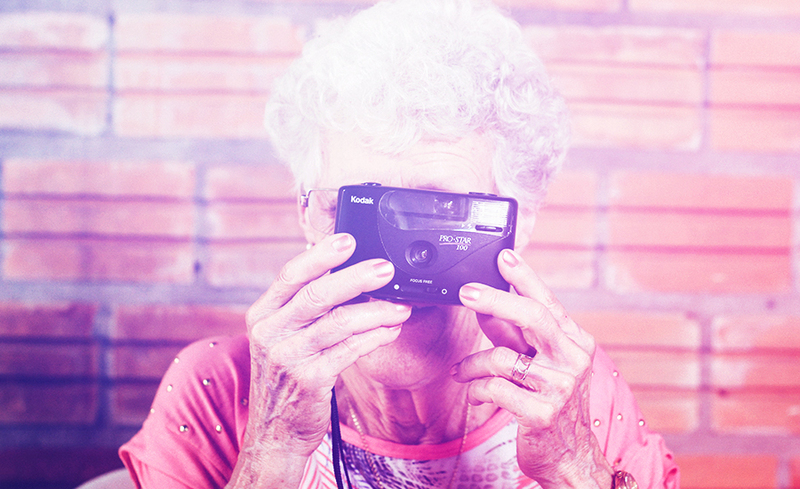 Those 65 or older have an average view rate of 34.5%. Take a look at tablet view rate across all ages. 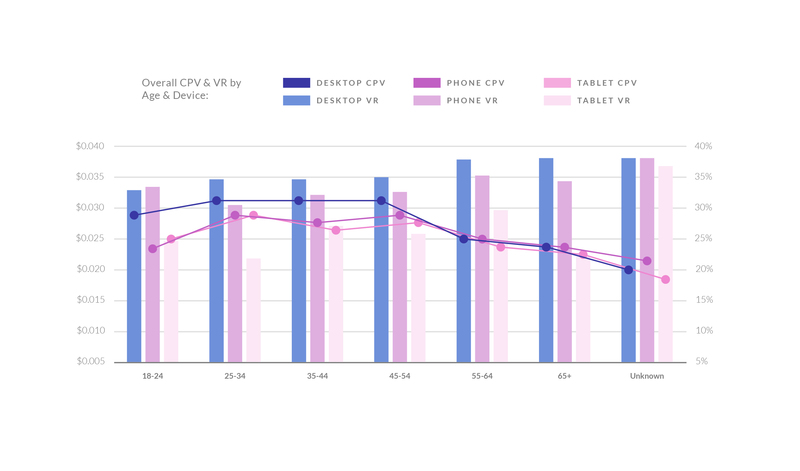 Those 55-64 surpass other age groups with an average VR of 29.8% (compared to 24.8% for 18-24 year-olds). That’s a surprising discovery given that mobile use for teens has skyrocketed over the past few years, with YouTube considered one of their favorite networks. The takeaway here is — while focusing on younger audiences on mobile is profitable — don’t leave out boomers. They’re more likely to view YouTube ads in full across multiple devices (desktop, mobile and tablet). What advertisers get wrong here is device use across age demographics. They’re more inclined to set their aim on younger audiences on mobile, assuming that older age groups reject new technology. Boomers are just as engaged — and even boast lower cost per views. The best strategy is to hone in on your target audience and ask yourself where they’re most likely to engage with your ads.